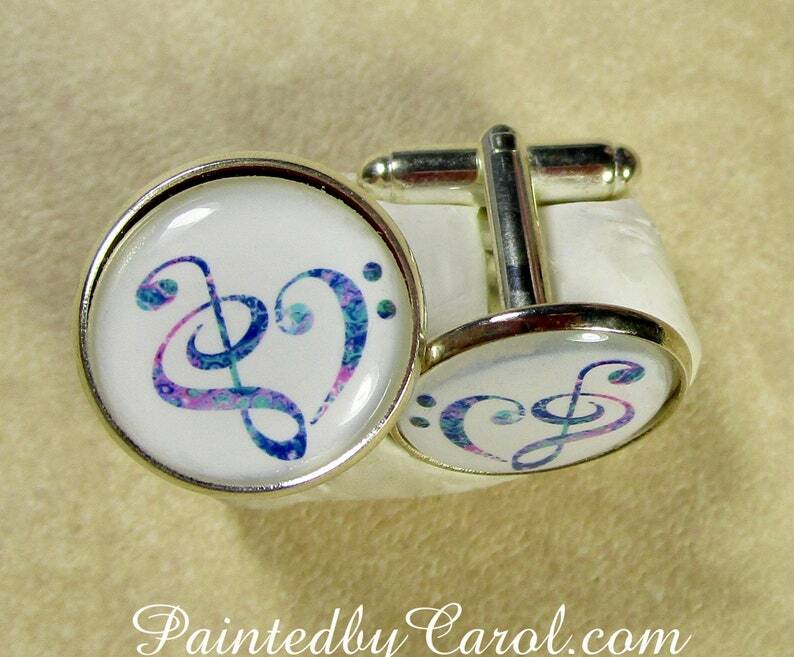 These music heart cufflinks feature a treble and bass clef made using my acrylic pour painting. The images have been flipped to provide a left and right cufflink. The settings are silver-tone and measure 18mm across and 27mm in length. The image is 16mm or approximately 5/8 inch across. The image is printed on professional photo paper and protected by an epoxy cabochon. Other items available using this painting include: pendant, earrings, cuff bracelet, bangle bracelet, tie bar, tie tack, snap charm, keychain and cell phone grip skin.